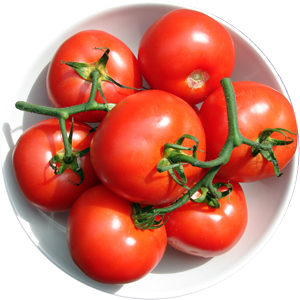 Tomato Soup In A Flash | What's for tea tonight dear? 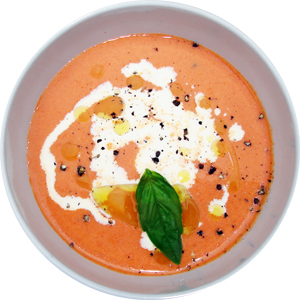 This entry was posted in Recipe, Vegan, Vegetarian [or Vegetarian Version] and tagged basil, cream, garlic, gin, olive oil, recipe, soup, stock, tomato, tomato puree. Bookmark the permalink. I’m especially liking the gin element. Will get the hotel chef to put this together for this evening’s hotel meal and report back. Thank you Thoroughly Good. The gin makes this I think, particularly the addition just before serving which should be as generous as you feel the occasion warrants. Speaking with considerable authority as one who was present at the notorious Singaporean flambee-soiree, I can verify that (a) it was a remarkable conflagration and (b) a splash of London Dry in the soup is, quite simply, the thing. Thankfully hair regrows, I don’t think there was any lasting damage to your kitchen. Do you recall who else was there? Yourself and the good Mrs Olds obviously, Boyden and I, Ms Herrick and Mr Stagg in all likelihood, the Birnies? Arkwright?